LinearStrobes™ are recommended on doors that lead to the outside, interior bedroom doors or windows and within 20 feet of a smoke detector. 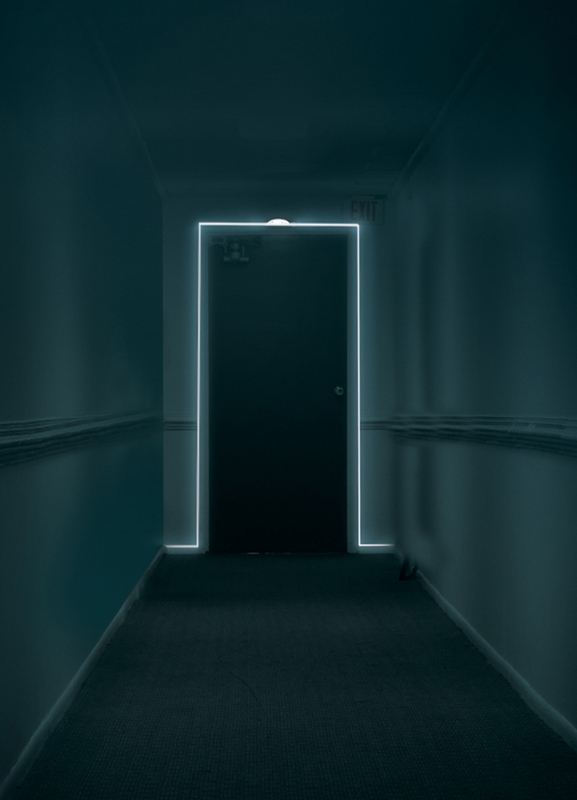 You should NOT install a LinearStrobe™ on any door or window that does not lead to a safe area. Typical installation configurations indicate the linear luminary be installed across the top of the doorway horizontally, down the sides of the doorway vertically and on the flanking left and right sides of the doorway horizontally along the top of the baseboard or cov-base. This installation configuration provides the linear luminary a strong substrate on which to be affixed, gives it a protective setback from normal traffic through the doorway and allows it to remain reasonably inconspicuous in the standby condition. Unlike other visual notification appliances that only alert building occupants to the existence of an emergency condition, the LinearStrobe™ distributes its visual message at and around an exit door and/or along a predetermined path of egress to alert occupants, demark the exit point or path of egress and “direct” people seeking to evacuate the premises or building to the exits or along a path of egress. “We have two young children and I don’t even want to imagine what would happen in a fire emergency. Now I don’t have to. I now know, that with the LinearStrobe™ installed, they will know exactly where to go to get to safety. It’s a feeling one can not put a price on.